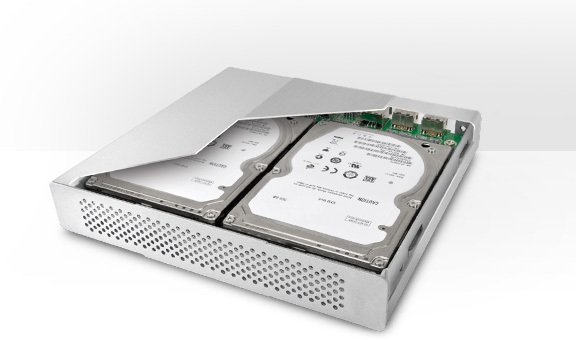 New, bus-powered hardware RAID models offer high-performance portable data storage or super-robust backup. 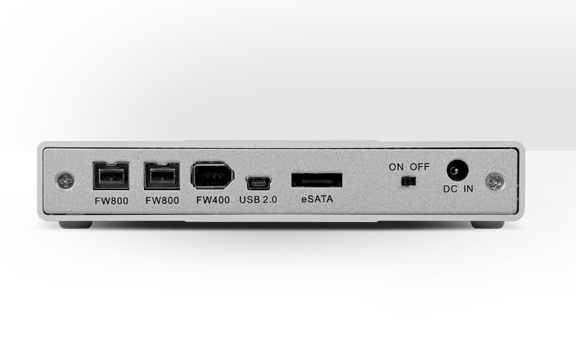 Now available as 3.0TB with pre-configured RAID modes, and with FireWire 800/400, USB 2.0, & eSATA interfaces — ready for use with any Mac or PC. 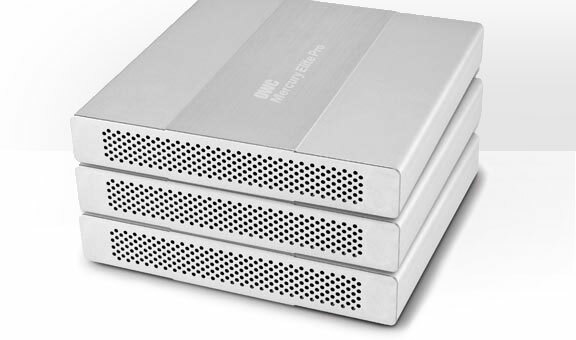 Other World Computing (OWC®), the world’s leading destination for cutting-edge and easy-to-install Mac and PC upgrades and accessories, has expanded its Mercury Elite Pro Dual mini portable hardware-RAID storage product line with two new 3.0TB models, available as 3.0TB RAID-1 (for robust data protection) or 3.0TB RAID-0 (for maximum performance). 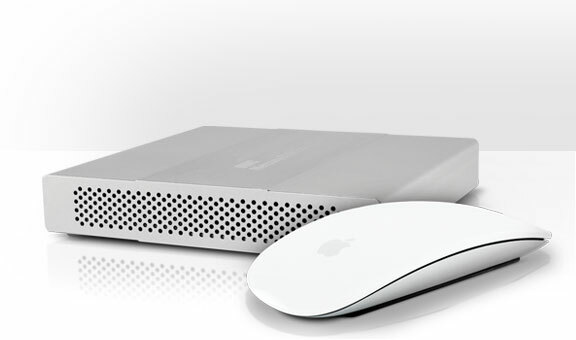 Why it’s cool: It’s the ultimate portable storage solution for professional users. Lightweight, bus-powered, and impact-resistant, in a 5.6 in (D) x 6.1 in (W) x 1.1 in (H) brushed aluminum enclosure with near silent, fanless operation, the Mercury Elite Pro Dual mini fits easily into laptop, photography, and other gear bags because of its side-by-side drive orientation. Fast, hardware-RAID technology is ideal for demanding data storage and backup needs, and can be configured with either high-performance hard disks or SSDs. What it costs: The new 3.0TB Mercury Elite Pro Dual mini models are priced at $359.99, and join a great line-up that includes hard disk options with speeds of up to 7200RPM and SSDs with eSATA bus-saturating speeds. Pricing starts at $191.99 for a 640GB 7200RPM unit, with 32MB buffer. 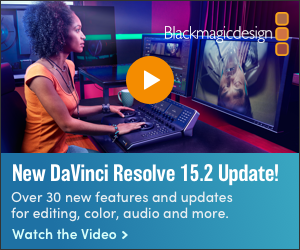 Other World Computing has been providing quality hardware products and support to the computer industry since 1988. OWC features one of the largest online catalogs of computer, iPod®, iPhone®, and iPad® enhancement products through its e-commerce portal www.macsales.com. As a member of the Apple Developer Program, OWC also provides extensive US-based technical support for Macintosh® users around the world. OWC, a zero-emissions company, was also the first U.S. technology manufacturer/distributor to become 100-percent on-site wind-powered, and was the first privately owned light manufacturing/assembly building in Illinois to obtain LEED Platinum status. The OWC wind turbine cleanly generates more net energy than is consumed by OWC’s operations and datacenter, which helped the company earn the U.S. Environmental Protection Agency (EPA) ENERGY STAR® rating for building operations that perform in the top 25 percent of similar facilities nationwide for energy efficiency.